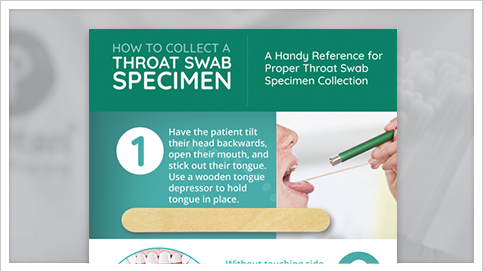 Download this handy reference for proper throat swab specimen collection! A throat swab culture is the easiest way to test for and diagnose bacterial infections. Collecting a throat swab culture is a simple procedure - but it's a precise one. Just fill out the form to make sure you get it right by following our step-by-step infographic. Print of email for colleagues or clients!